For the last couple of years, my son has had a Lego advent calendar. It's been great building up the Christmas scene but once the holidays are over the Lego gets put away in the general Lego box. 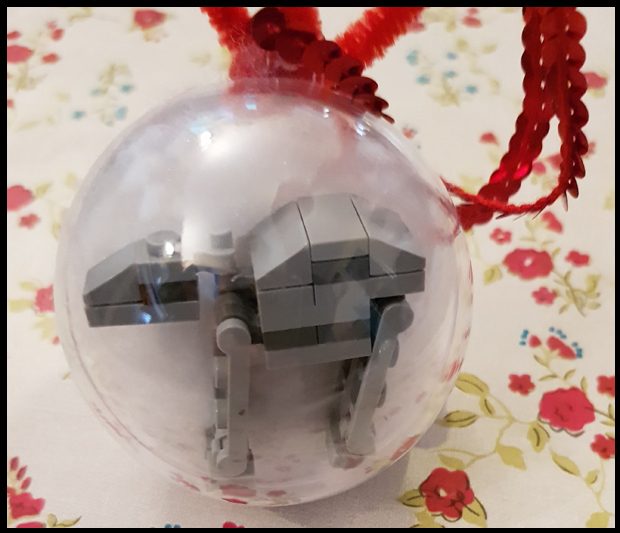 What I thought I'd do with the Lego was place them in their own little baubles so they can go on the Christmas tree and be on display like this year's Lego advent. 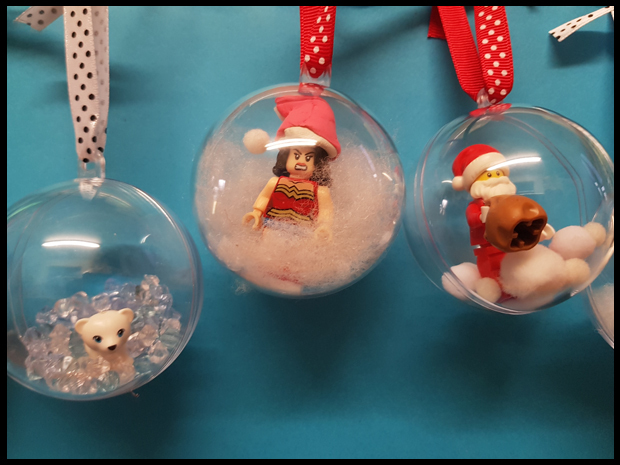 The first task was to rummage around and find pieces to go inside the baubles - this alone was an afternoon task! 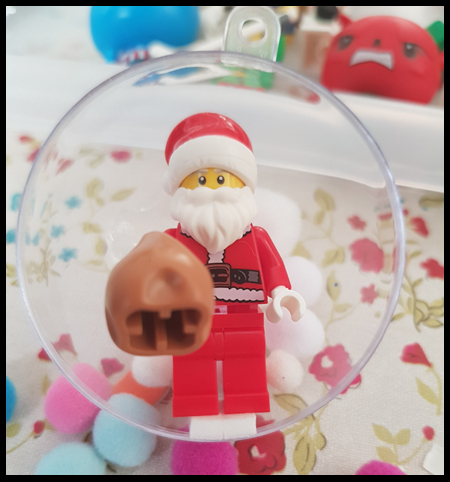 We have great fun finding all the prior year pieces, deciding on who/what else can go in the baubles and......... well it's Lego so we were building too. We started with our mini-figures. 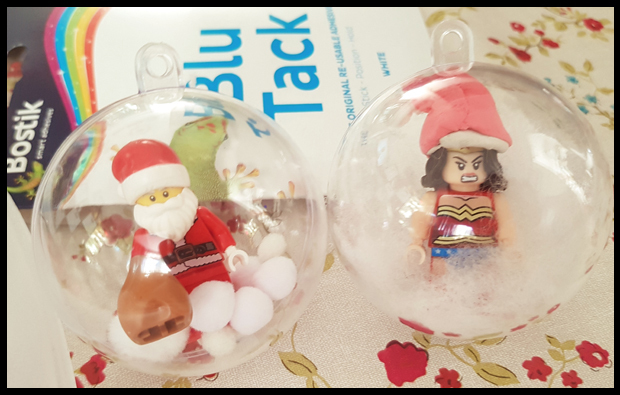 So they didn't move around in the bauble I placed some Bostik foam pads on their feet and placed them on the edge of the ball. You can just leave them like this and close the baubles up, but half the fun my son had was choosing which 'snow' to add. 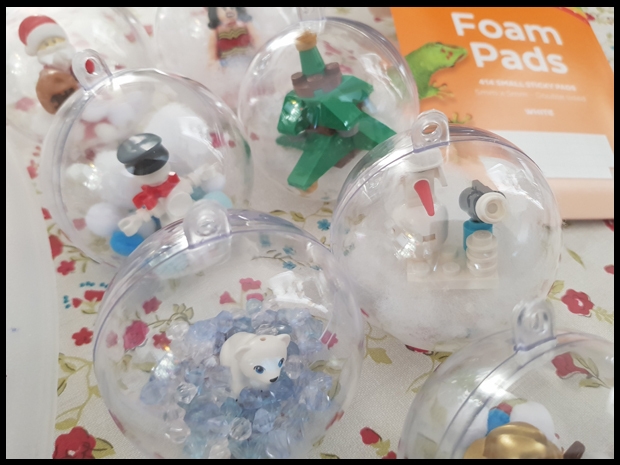 Some were surrounded by wadding, others had pompoms and the baby polar bear got clear and blue gems! 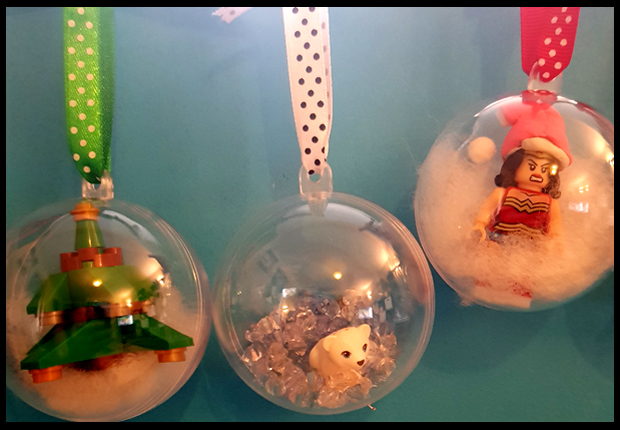 The baubles don't need to be Christmas themed, and let's face it when it comes to children's crafts... anything goes! 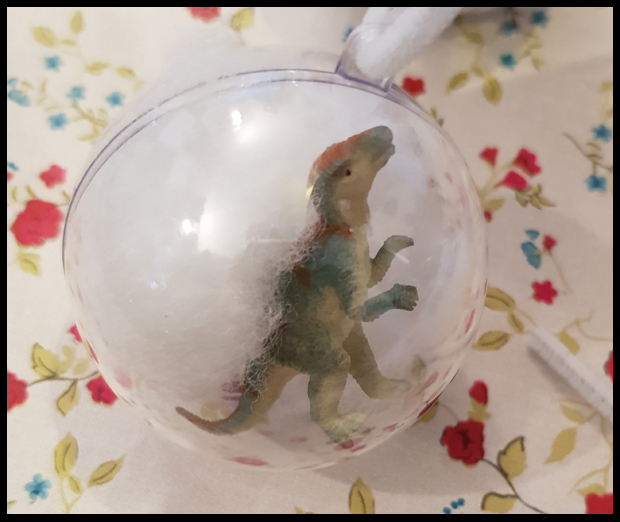 So we also had an AT-AT and a dinosaur to hang on the tree. 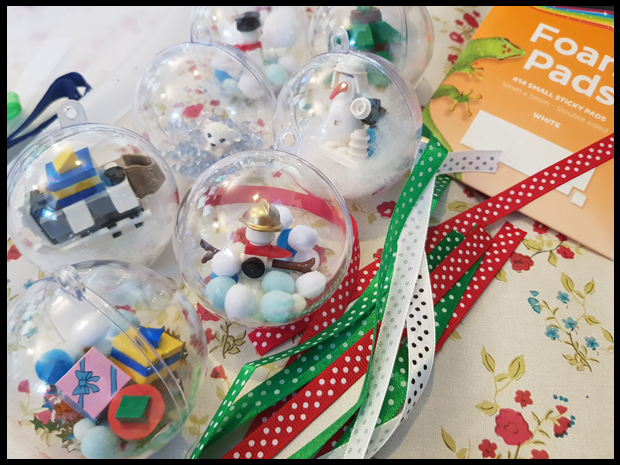 Once the snow was added the baubles were shaken around so it covered the bottom and hid the foam pads and then the ribbon was finally placed through the top and the Christmas baubles are now ready to be hung on the tree. We made a Christmas hat for wonder woman from dry clay purchased from Hobbycraft and white Blutack. I think it's great - but the look on her face suggests she's not a fan! 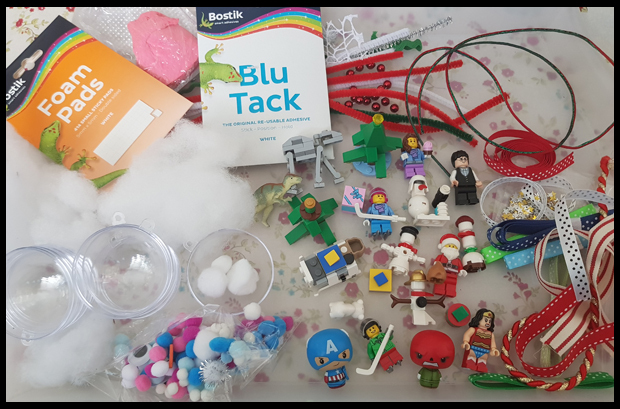 Merry Christmas all, have fun creating with your children and making memories. It looks super cute! Nice idea! Already excited about Christmas too!